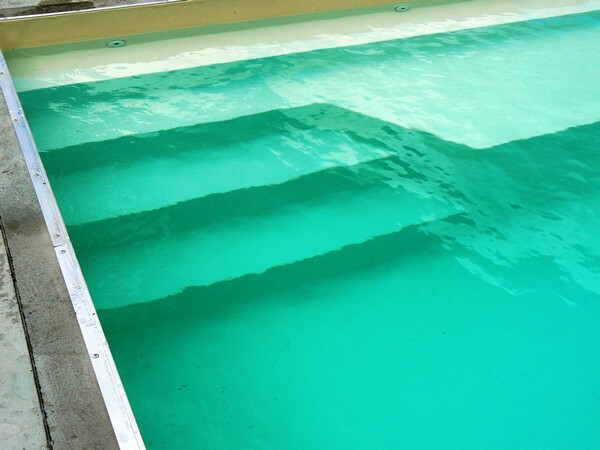 The stairs of your swimming pool are not an accessory. 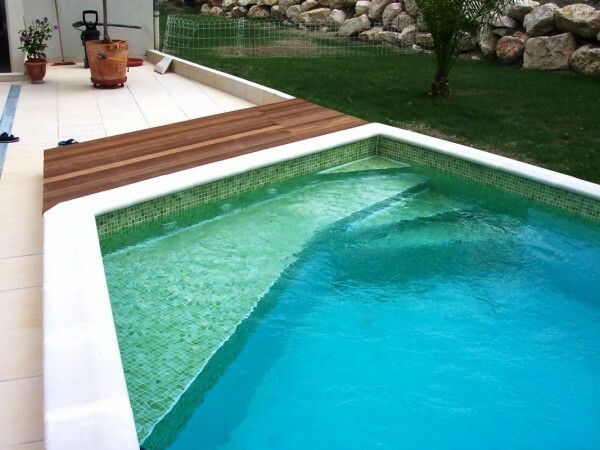 They are all part of the design of your swimming pool. 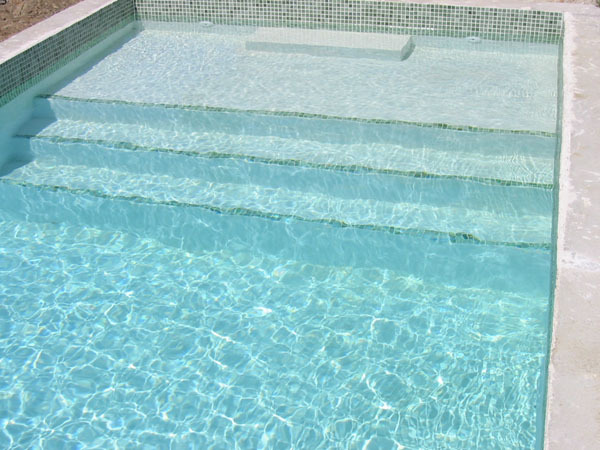 They contribute to the general aestheticism. 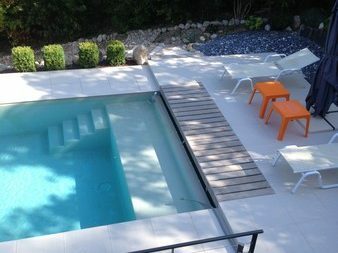 The stairs of a swimming pool are also a space for conviviality and rest where one can sit to discuss. 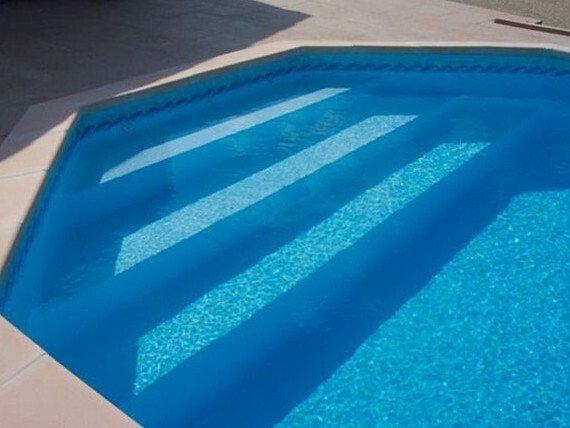 It is an element of your swimming pool that must not be disregarded. 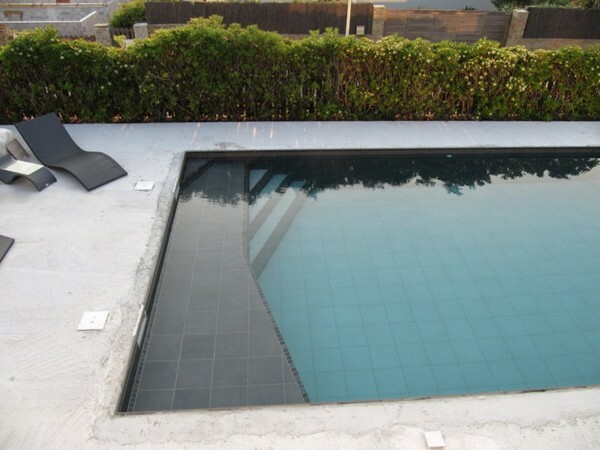 The construction of a MARINAL one-piece concrete swimming pool offers you the freedom to choose the style of staircase which is appropriate to you. 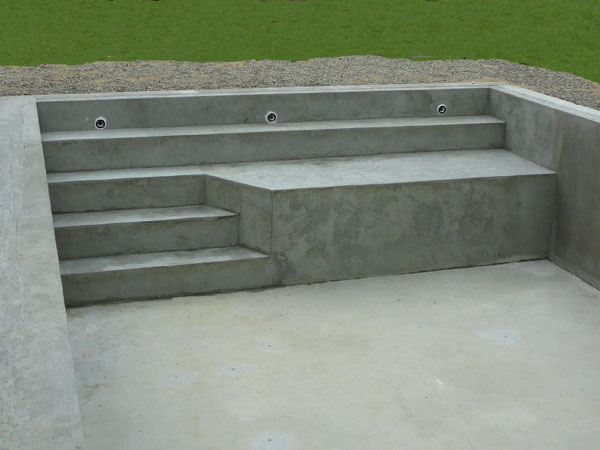 A concrete construction allows all creations of made-to-measure staircases. 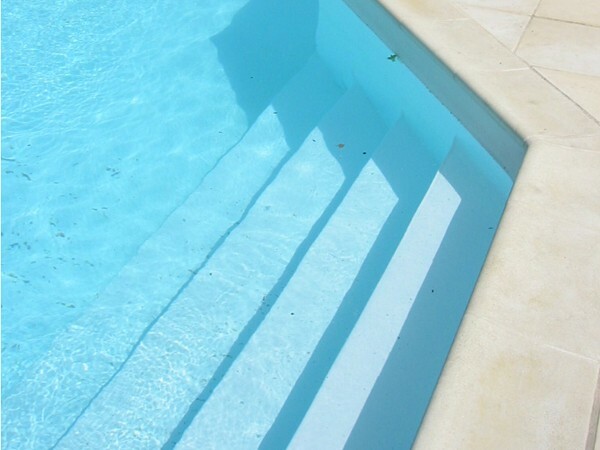 The square staircase is placed in a corner of the swimming pool. 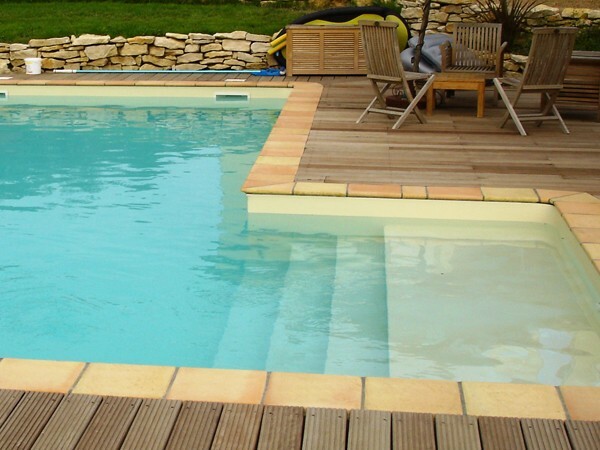 It has the advantage of presenting a broad first step to enter the water, but the disadvantage of the prominent angle of the steps in the pool, which can surprise the swimmer. 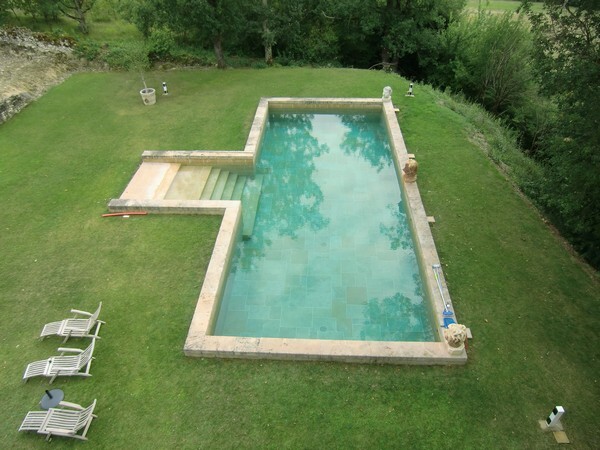 The corner staircase has straight steps, and goes down in the water from an angle of the swimming pool. 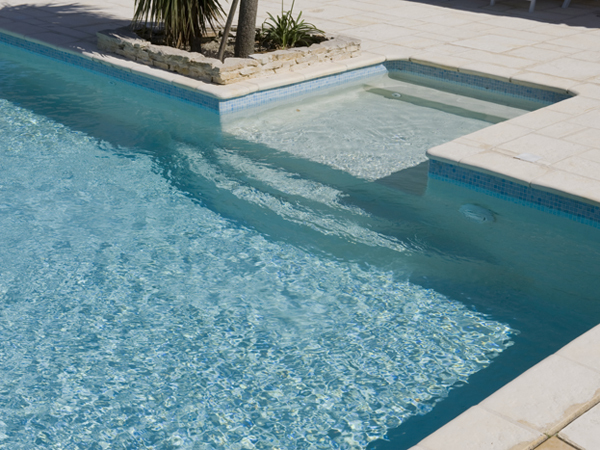 It is a discreet and minimalist pool staircase which leaves an optimal space in the pool. 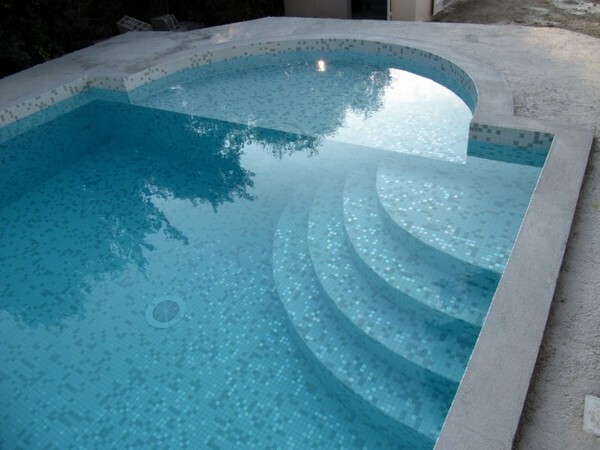 It is the ideal staircase for small swimming pools. 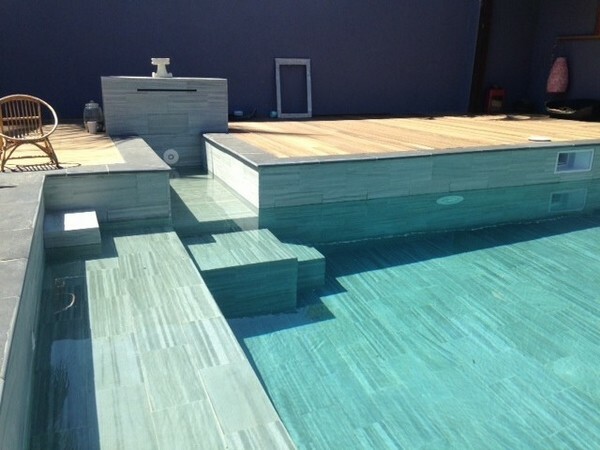 The rectangular pool staircase has an attractive traditional and uncluttered line; its long steps give it a true presence and are an invitation to sit down in water. 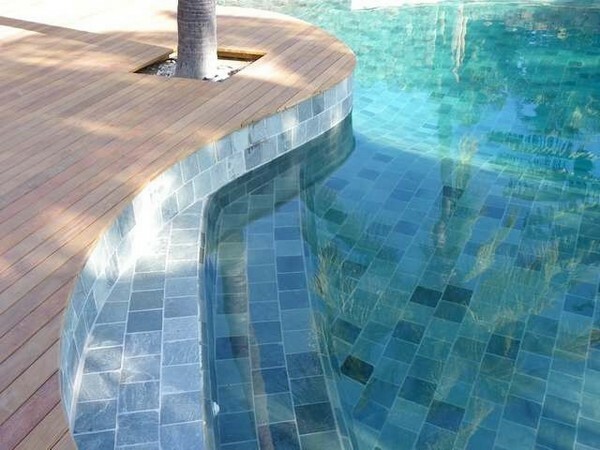 The rectangular staircase can be designed inside the pool, but its effect will be more remarkable if it is built in a break of the swimming pool structure line. 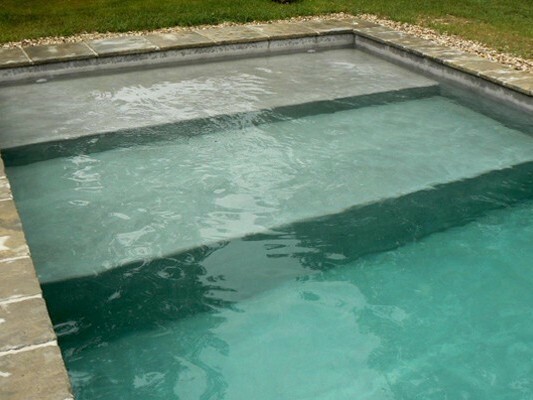 This will also give a more contemporary line to your swimming pool. 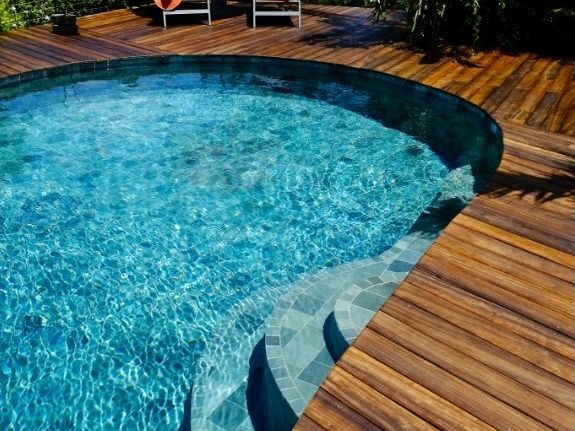 If you have enough space, treat yourself with wide steps. 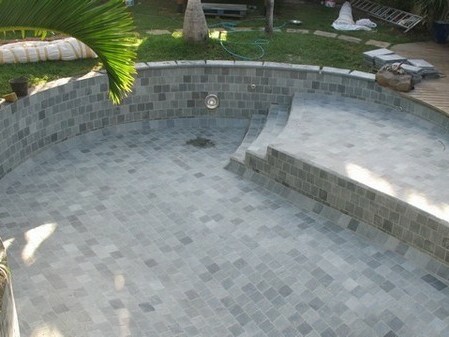 This will make your staircase more majestic and will visually lengthen your pool. 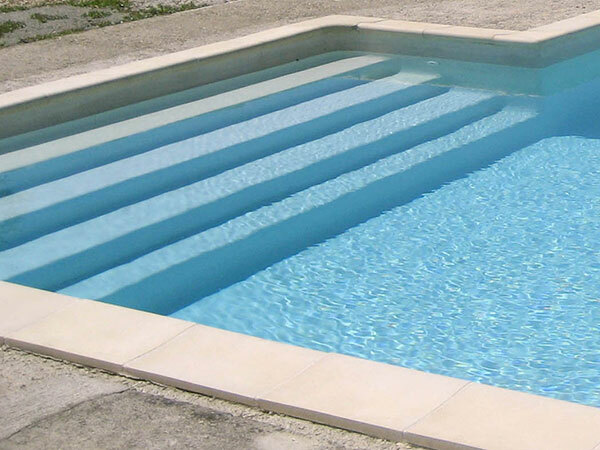 The roman stairs are made of a round shape area where the steps are installed. 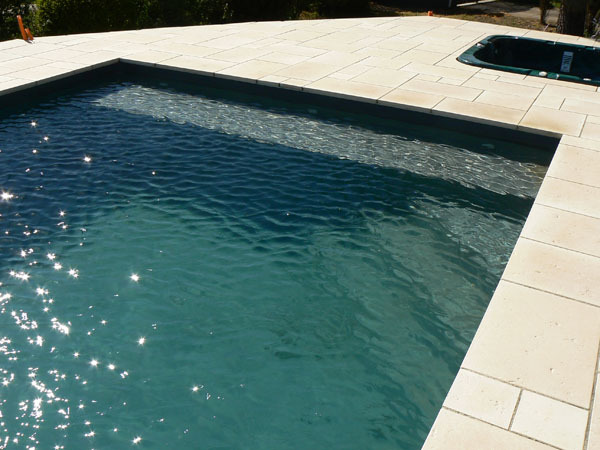 Its curved shape softens the straight lines of a traditional swimming pool. 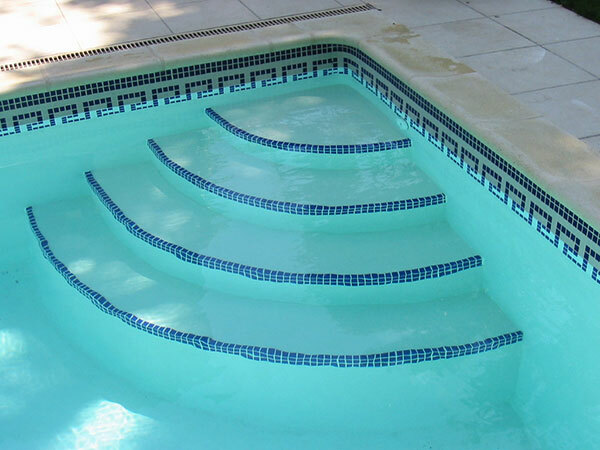 The roman staircase is attractive thanks to its roundness; indeed, it can be more or less round, oval, narrow or broad. 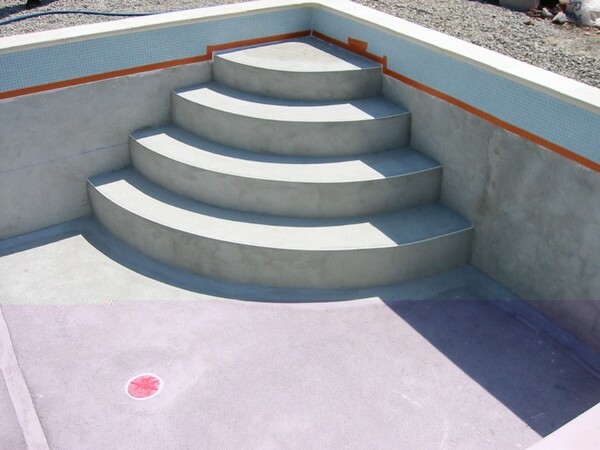 All shapes of staircases are possible during the construction of your MARINAL one-piece concrete swimming pool. 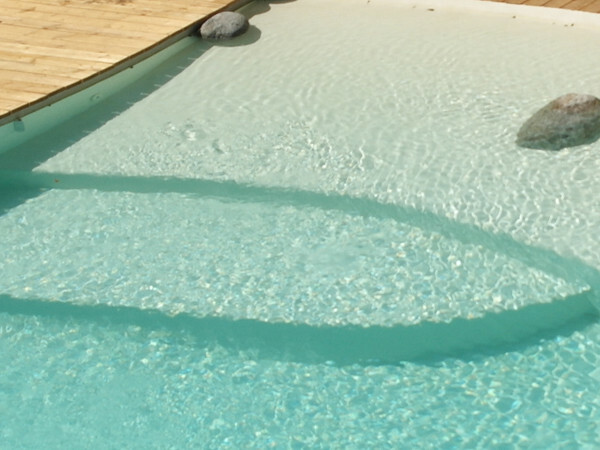 If you choose a free shape and curved swimming pool, we can quite adapt a round, oval or wavy staircase… One of the advantages of a MARINAL concrete swimming pool is that we can customise it with almost any kind of shape. 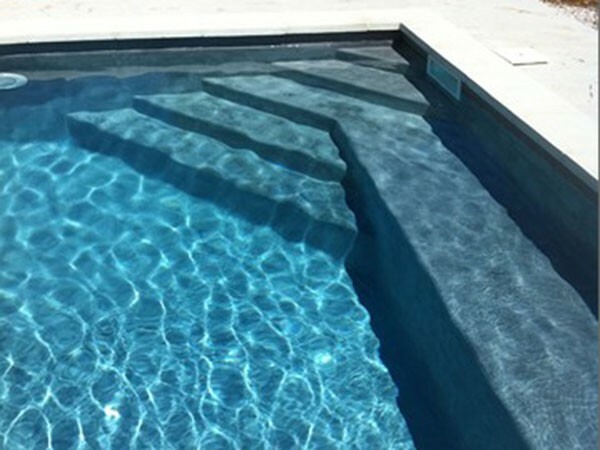 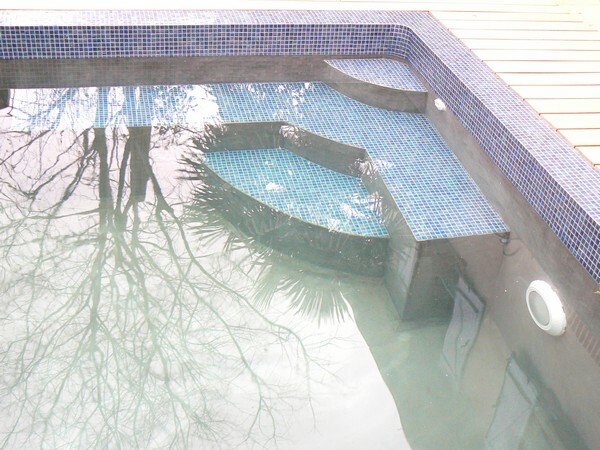 To help you build the swimming pool of your dreams, MARINAL, your pool specialist will guide you on the shapes of staircases according to your desires, the size and shape of your swimming pool.